Application forms for the new 500 club are now available to download and have a chance to win up to £1,000 every month. Membership forms will also be available at every BAFC match / event, remember to share with all of your family and friends ! 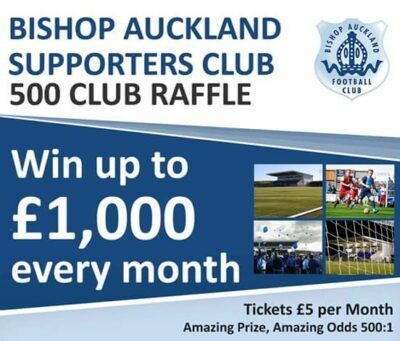 The 500 club is a monthly draw set-up by the supporters club giving members a chance to win up to £1,000 every month. Memberships cost £5 per month, per membership you can hold more than one if you wish. Membership will be collected by standing order monthly saving the need to remember to catch people to pay your subs, alternatively you can pay for the full year via cheque / bank transfer. How to join the 500 club? Fill in the application form and standing order mandate. Sign both copies of the terms and conditions. We process your application and issue you with a membership card / number for the draws, your standing order mandate is sent to your bank on your behalf. NOTE we do not hold or keep any individual’s bank details. Sit back and wait for the monthly draw which will take place on the last Saturday of every month. A chance to win a big sum of money every month. Cheaper than most other lotteries / draws. Great odds compared to other draws. A chance to help support your local football supporters club / football club. The target for the 500 club is to reach 500 members we would like each individual to try and purchase a membership and sell 3 memberships to family, friends, work colleagues or anyone physically possible ! Doing so will put us in good stead to reaching our goal. 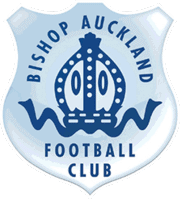 The impact of obtaining 500 members would be massive to both the supporters club and Bishop Auckland FC. To put it in to perspective, reaching 500 members would be just as big to the football club as winning a major sponsorship deal. This is our chance as fans to make a difference, whilst giving our family and friends a chance to win a big sum of money!